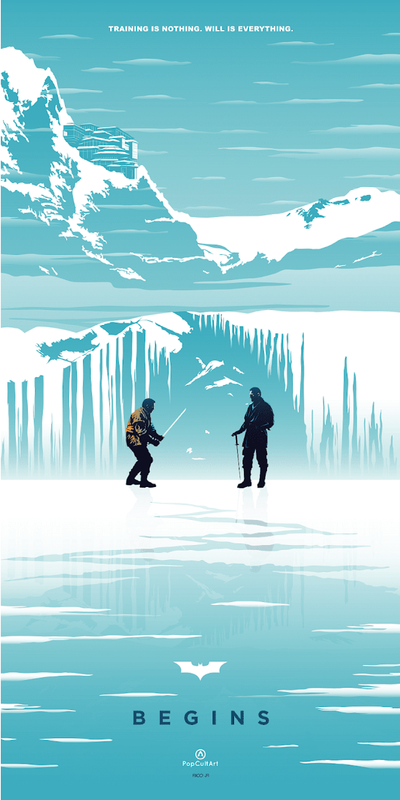 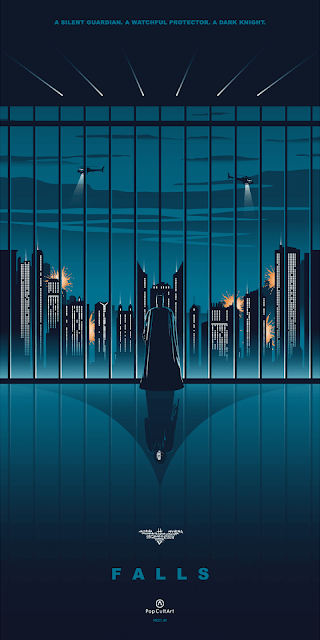 PopCultArt has teamed up with artist Rico Jr. again to release three awesome new fine art giclée prints inspired by Christopher Nolan's Dark Knight film trilogy. 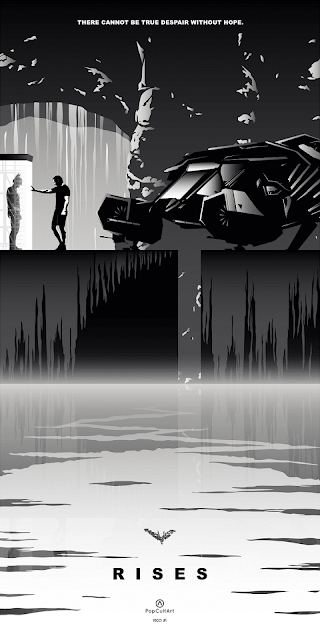 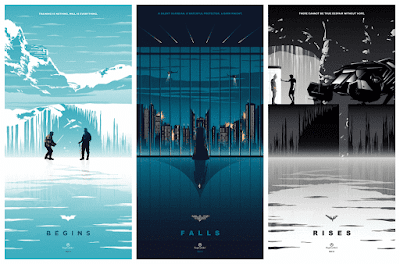 Entitled “Begins”, “Falls” and “Rises”, each Batman print measures 12”x24” and is printed on 240gsm matte ultra paper. These cool Dar Knight prints come hand numbered and can be purchased individually for £23 each or as a 3 piece set for £60 at the PopCultArt online store. 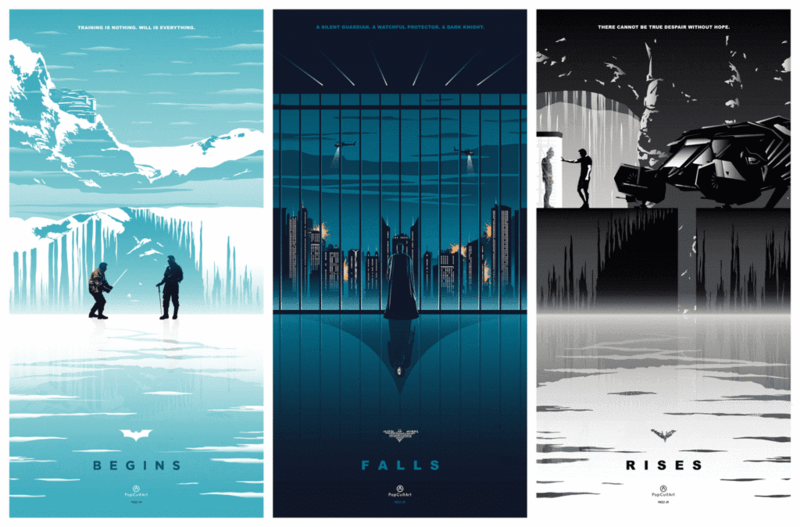 Each print is limited to just 60 pieces, with only 10 sold individually and 50 sold as part of the Dark Knight trilogy set.